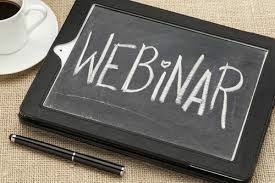 Are your webinars dull, low-value events mired by technical glitches? Discover how to run polished, professional, and highly engaging online meetings. This class is packed with helpful presentation toolsas well as tech advice for running smooth, effective webinars. Do you want to be a more confident and effective presenter? Discover extremely useful public speaking strategies, tools, and PowerPoint tips that will take your presentations to the next level. Improve public speaking, presentation, and PowerPoint skills by 25-50%. Mike Song’s soaring keynotes are packed with timely, relevant information that your people desperately need. If your team is struggling to get more done — Mike’s unique approach to productivity will blow them away. The secret is that Mike focuses on the tasks and technology that consume the most time. He has conducted over 50,000 surveys so he knows exactly which productivity pain points to target. His keynotes are dynamic, easy-to-follow, and deliver immediate performance gains. GetControl.net is a global leader in productivity training. Our suite of revolutionary, condensed time management courses have helped millions of professionals save time and get more done. Focused on the biggest productivity pain points experienced by today’s professionals, this training will help you conquer email, meeting, and information overload challenges. At Get Control! content quality is king. Based on feedback from over 50,000 post-training surveys, we’ve packed only the most relevant, innovative, and useful time management insights into each class. As a result, 98% of participants immediately use Get Control! concepts on the job. Your people will say, “Wow!” at least every five minutes.